Hiya!! It's the first of the month which means a new challenge over at GoGo Getaway! 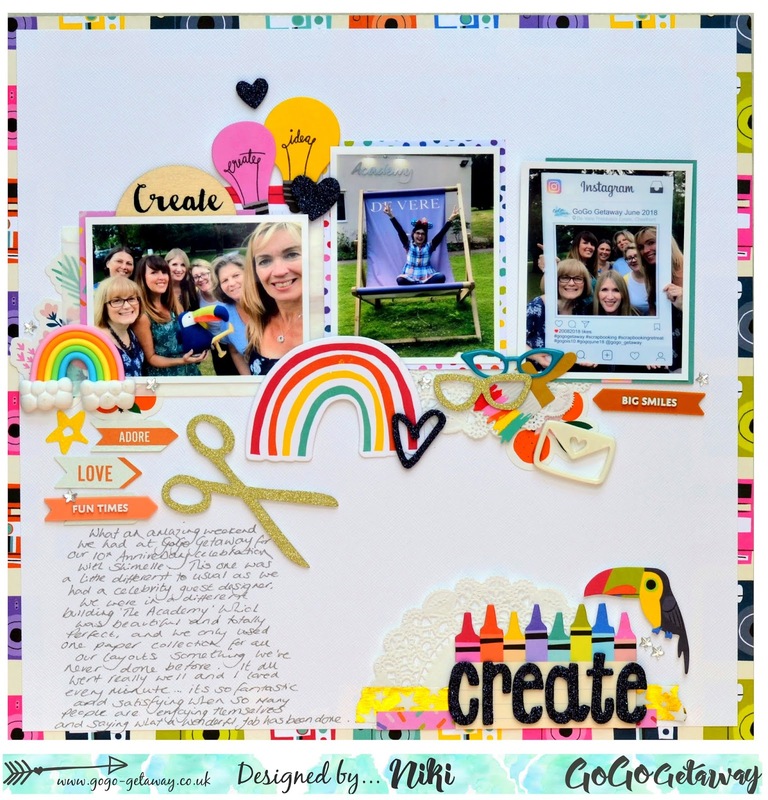 It is Esther's turn to set the challenge and she has put together a very gorgeous moodboard for everyone to be inspired by. Well this was perfect for me - I love a rainbow! I decided to document our recent GoGo Getaway retreat with Shimelle back in June and have used her collection - Box of Crayons which is full of rainbow colours. I also included some rainbows on my layout too. I've also taken inspiration from the flowers on the moodboard and there's glitter too so my title is made from glitter Thickers. To play along with the challenge, head over to our GoGoGetaway Facebook group and enter your creations there. 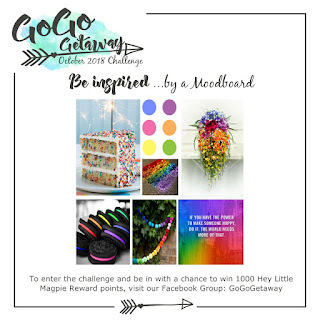 You'll be in with a chance to win £10 of Hey Little Magpie Reward Points as well as be entered into the Grand Prize Draw for a free GoGo Getaway place!